Tia Slip dress is the one for all seasons! Make it with or without the ruffles. 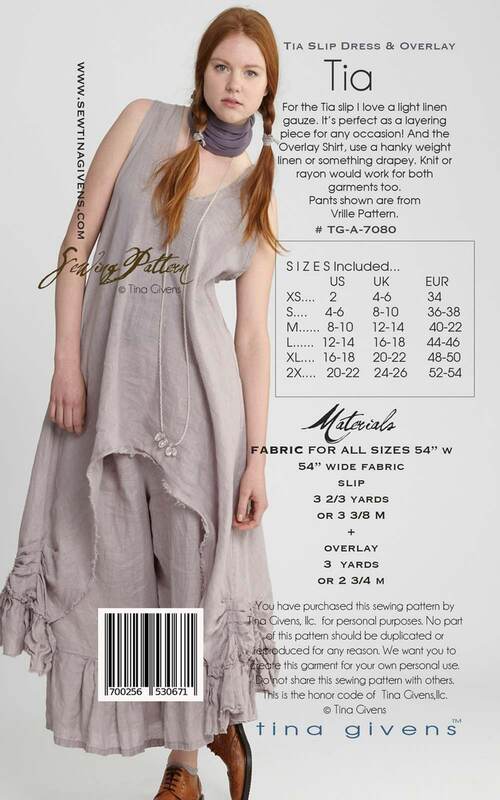 It's gorgeous in silk organza, gauze linen, light linen or something soft like a rayon or knit modal. The overlay is simply lovely to have. It is a simple cut in one tunic, with a large open cut out in the front. I love layering this over anything sleeveless. Especially the Tia. Nice with the Sugar Ruffle Slip Dress, the Annabelle and so many more.